A question I've been getting lately is what can I do to add more value to my home before I put it up for sale? So, today we're going to talk about 3 very specific things you can do to add more value to your home when you go to sell it. Declutter and depersonalize your home. So what does that mean? Well, you're going to be moving so whatever you're not going to need for the next - let's say 90 days or so - you can put that stuff in storage or your garage. This allows your home to feel open and inviting vs cramped and cluttered. If you have lots of pictures on your walls and hallways, take them down. You don't want the buyer focusing on anything else but your home. 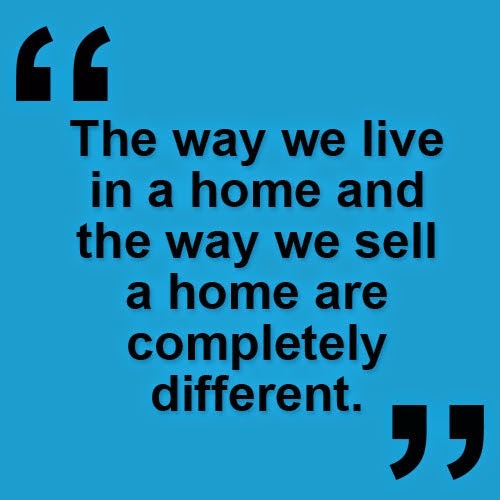 Think about it like this, the way we live in a home and the way we sell a home are completely different. Improve your lighting. Everyone loves light and buyers are willing to pay for it. So take down those drapes, wash your windows, and let that natural sunshine pour into your home. Trim back bushes by your windows, replace your lampshades and install high wattage bulbs everywhere. Both manufactured lighting and natural lighting are a fantastic selling point in any home. Brighter homes always sell better. Don't overlook your front yard and entryway. I've been showing properties for over a decade and I'm convinced that the buyer decides if they're going to buy your house within the first 10 seconds of seeing it. I suggest that you set your stopwatch and take note of what you see in the first 10 seconds of walking up to the house. Chances are you'll need to do some yard-work, power wash your entryway, get rid of the cob webs above your doorway, plant a few inviting flowers, and paint your front door and trim. While you're at it, check to make sure your doorbell works. A bonus item is re-painting your home, and my advice is just to do it. If your home has not been painted in quite a few years, adding a coat of paint will help immensely. Just remember to keep the paint light and bright, and go for neutral colors like earth tones. Everyone has different circumstances for their property and we can always talk through what your property might require to fetch top dollar on the market. Just reach out to me...call or email me for your free real estate consultation. Why Is Our Market so Active Right Now?